Oak Run in Ocala, Florida is a 3,509 home active adult community in the heart of central Florida. This established 55+ community offers reasonably priced resale homes and a robust lifestyle offering over 100 clubs and interest groups. Oak Run offers the perfect blend of large community amenities with a small, close-knit neighborhood feel. Oak Run Florida is located on Ocala's southwest corridor just off Highway 200. The area is renowned for its ancient oak trees, rolling hills and pristine lakes. Situated in the acclaimed "Horse Capital of the World," this 55+ community is just 30 miles to the Gulf of Mexico and 90 minutes to popular destinations in Orlando and Tampa. There is an enviable array of amenities at Oak Run in Ocala ideally crafted to meet the needs of today's active adults. 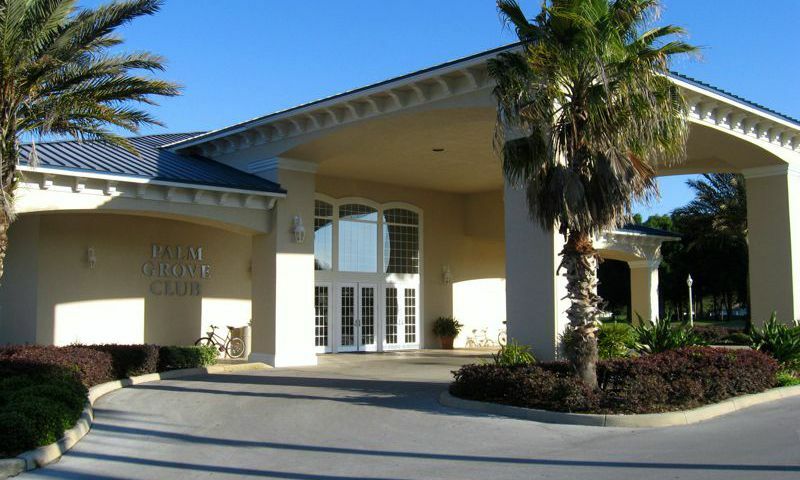 The Palm Grove Club is Oak Run's 30,000 square-foot clubhouse that serves as the focal point for all community social and fitness activities. This state-of-the-art facility includes a multi-purpose ballroom, fitness center and catering kitchen. Outside, a resort-style pool and spa provide the perfect retreat on hot summer days. The Orchid Club hosts an additional fitness center, card room, meeting room, billiards, arts and craft rooms, a ceramics studio and library. The Orchid Club's ballroom accommodates over 1,000 residents and plays host to movies, plays, musical performances, dances and more. Outside there is an Olympic-sized swimming pool along with tennis, shuffleboard, horseshoes, sand volleyball court, bocce ball courts, and many other activities and amenities. The Island Club features three specialty pools including a lap pool, an aquacizing pool for water exercises and a lounge pool for residents who want to bask in the warm Florida sunshine. The clubhouse at the Island Club also includes a spa and a meeting room. In addition to the outdoor pools, there is also a heated indoor pool at the Aquatic Sports Club that offers open swimming, aquacizing and other fun activities. There are 18 holes of championship golf that wind through this active adult community. The 18-hole Royal Oaks golf course is a 6,703-yard, par-72 course. The carefully designed and well-manicured course was built around mature trees and native vegetation making for a truly magnificent setting. The Royal Oaks Golf Club also includes a unique 6-acre, 6-hole practice facility. Residents can purchase a golf or social membership to utilize the clubhouse, restaurant, pro shop, and golf course. There are over 3,500 homes at Oak Run. The community was constructed between 1985 and 2007. All of the new construction homes have been sold but an ever-changing lineup of pre-owned resale homes are available for sale. Homebuyers can choose from single-family and ranch duplex homes available in nearly 100 different floor plans. Homes range in size from approximately 1,000 to over 2,200 square feet and have from two or three bedrooms, two bathrooms, and attached one or two-car garages. Whether you require an intimate villa or an estate home with a view of the golf course, there are choices to suit the tastes of almost any buyer. An on-site activities director is there to ensure that residents of the community have a vast array of lifestyle options. Whether your idea of activity includes biking, tennis, golf, crafts, cards or dancing, there is something for everyone in the community. Plus, with a calendar filled with fun events, club meetings and classes, there is never a shortage of activities to fill your day. The area around Oak Run Florida has a lot to offer. Located off of Highway 200, southwest of Ocala, Florida, residents enjoy easy access to many of central Florida's favorite destinations. There are several nearby parks such as Silver Springs Park, which is one of the oldest attractions in Florida. For over 50 years visitors have been entertained with the glass bottom boat rides on Silver Springs. Rainbow River State Park in Dunnellon offers gorgeous nature trails and year round swimming in the 72 degree clear waters of the natural springs. Downtown Ocala has a lot of great shops and several delightful dining establishments. When grandchildren come to visit, there are many nearby destinations to keep them entertained. The Florida Horse Park is just ten miles away from this community and offers enjoyable rodeos. Places like the Kennedy Space Center, Disney World, Sea World and Universal Studios are accessible in less than 90 minutes. Plus, Tampa and Orlando's airports are readily accessible making trips to other destinations around the country a breeze. Oak Run in Ocala, Florida is a great 55+ community with so much to offer active adult homebuyers. Island Club is a great place to relax. The Palm Grove Club offers entertainment and fitness activities for residents. The Aqua Sports Club is a great place for aquatic sports and fitness. The Orchid Club provides indoor and outdoor fun for residents. Members can enjoy the amenities at the Royal Oaks Golf Club. There are plenty of activities available in Oak Run. Here is a sample of some of the clubs, activities and classes offered here. Duplexes in Oak Run offer two or three bedrooms, two bathrooms, and an attached two-car garage. These low-maintenance homes are perfect for active adults looking to downsize. Single-family homes range from 1,112 to 2,275 square feet of living space with two or three bedrooms, two bathrooms, and an attached one or two-car garage. Residents love these homes for their open floor plans and convenient single-floor living. My husband and I purchased our home in Oak Run 2 year ago as second generation homeowners. We couldn’t be more happier with our decision to buy here. Since then we have made wonderful new friendships as well as enjoying all of the great amenities and beauitful 18 hole country club golf course. We hope to Enjoy many years to come. Thank you oak run !!!! amenities are expensive. not really seeing any updating being done. pools are very restrictive. if something is not working on grounds, they replace with something else (cheaper to maintain) instead of replacing. they have a 'resturant' bella cucina that is not being used ..could be convenience shore for residents (I would even be willing to handle it). 9 hour golf course closed and grounds not maintained ..dead property ...(such a shame) could be a park or walking area for residents instead of 'nothingness'. they have an area in back of pine grove that could be used for residents to enjoy music and games in evenings and weekends. but they do not use. and newest restriction ...no smoking in community ..they could at least give some area for smokers. golf course at pine grove is, of course, maintained and beautiful because that is where the money is from residents AND outsiders!... most people not that friendly, very 'clicky' and not willing to let new people join! many clubs but i have found little to join! Small, close knit community where, even when the "snowbirds" arrive, you can still gain entrance to the events and facilities available that you pay for through your HOA fees and not get shut out as happens in the MEGA COMMUNITIES LIKE THE VILLAGES! My wife and I have lived here almost two years. We have enjoyed the security and the facilities. There are minor issues but nothing that concerns me. We pay 306 monthly and that includes all facilities except golf. It includes yard and scrub care along with trash removal and irrigation. It also includes high speed internet that will run our computers and Netflix and Amazon without issues. The area has plenty of trees compared to most communities in Ocala. There are plenty of clubs and activities to join and keep you as busy. We love it here in Oak Run and in Marion county, horse country. There are 25 communities in Oak Run and they have different fees for different services depending on the neighborhood. Well...my husband and I have been here over a year now and I'm happy to say we LOVE it! I wrote a review when we first moved here and I can honestly say, it just gets better and better. If you can't be happy here...you probably won' t be happy ANYWHERE. I've been reading the reviews from 2017 and I could't disagree more with most of them!!! Not sure who these people are - the facilities are maintained beautifully, my husband and I see constant updating of all of them, new painting, new card tables and chairs, new fitness equipment replacing old when they break down, continuous replanting of new plants and removing of old landscaping material...this summer the main boulevard had flags representing all services in the Armed Forces and American flags flying. (My husband loved it) There is a walking path around the Island Club - no one uses it ever but it's nice. There was one big hole in the road about two years ago because Marion County pipes broke - so maybe that is the sinkhole the guy is talking about? Either way - my amenities fees are $ 149.12 a month and for that amount we get 24 hour security, the use and maintenance of all recreational clubs (4 lit tennis courts, 2 pickle ball courts, bocci, shuffleboard, 6 big pools (1 big heated one under roof), 5 spas, and the maintenance of all common areas, basic cable and one other thing I can't remember. We also get twice a week garbage pick up included in that price. Well all that to say -I don't know about you - but we think it's a great deal! (In all fairness we haven't been to a homeowners meeting mostly because we are super busy - and also they are known to be meetings where all the negative people who have gripes with the developer go - my husband just said with almost 7000 people who live here and no more than 50 people showing up to complain he would say if that's all the complaints they get ? that's pretty good) ANYWAY - all that to say - we LOVE it here! Do a search for sinkholes and you will find many here in Oak Run! Beware! Nice hood to live in Been here 5 years and unfortunately have watch it slowly go down hill. Maintain homes not being care for as they should. Pool equipment breaks takes forever to fix. Palm Grove hot tub down 2 weeks as of3/24. Security well only for the ones who live here, got your tag can't put that on your house etc. Look behind Crescent Oaks or Laurel Oaks it's a revolving door from outside community's into Oak Run. We pay for amenities that do nothing to enhance the community but seem to enhance pockets of owners. Go to homeowners meeting it's a waste of time- it's not in the budget, we are looking into it, or plain NO! Should it break remove it if it needs repair Run it till it breaks then remove it! Some people need to come out of the castle and see the hood as owners do! ?? Great people, great friends. Reasonable price. Amenities getting a little dated. Facility needs some updating to meet the needs of us active seniors. No walking/bike paths, only 2 pickleball courts and the fitness equipment getting tired. I think one of the biggest advantages to living here is that you actually have a nice sized lawn. The homes are a little older but everything is on one floor and doesn't feel cramped like some other places I have seen. Great place to live! My husband and I moved from Ft.Lauderdale recently to Oak Run. We had been to several of the "hot spots" with all of the amenities but nothing matches the beauty and affordability of Oak Run. We are in our late 50's and both of our remaining parents moved here as well! I liken it to a cruise ship wirh lots of a activities. You can do it all or do nothing and are never far from gorgeous , well maintained pools and fitness centers. There are clubs and dances...exercise and fitness opportunities....sports and did I mention the beautiful golf course? Nicest people in the world live here as well! Best kept secret! This is a poorly managed community. The common grounds are not well maintained. The exercise facility is not well maintained. Equipment is not repaired or replaced in a timely manner. There are other issues that residents complain about. We bought a house here last October (2013) We still have another home up north, but we come down here often. The people here are friendly and there are so many opportunities to get active and meet people. Kudos to the maintenance and pool people. We love to swim and the pools are always gorgeous and well maintained. Shopping, restaurants, etc. are so accessible. We don't regret purchasing a home in the beautiful Oak Run neighborhood. out of the heavy trafic ,Ocala is a nice place to retire, even on the weekends, restaurants are easy access. oak run goooooooood any way you look at it, afordable,well maitained ameneties are great.people of all walks of live are there to make you feel at home ; away from the snow.....i have been around ...this is good! Good place to be,nice people,the amenities are great....and for us canadians....nice and warm. This past year I purchased a home in Oak Run, across from the Island club. Not only did I get a great deal on the home I purchased, I have some great new neighbors. The amenities here are extensive and well maintained. Comparatively, the HOA fees are low as compared to other communities in the area. The only reason I don't give it five stars is that the actual homeowners do not own the HOA, it is owned by the developer and we are not privy to the financial stability of the HOA. Other than that, living in Oak Run is akin to living in paradise. We got a terrific deal on a home in the "historic district" of Oak Run. By that I mean in the first neighborhoods built. There is plenty to choose from to do. People are friendly and if you are bored, it is your own fault. We visited many communities in our search for a FL home, and we feel we found the right combination of quiet and activity for us. This is a nice place. They have left a good deal of green space throughout the park so that many homes have a good view and a very private feel. After living in several other retirement communities in the Ocala area, Oak Run gets our vote for the best bang for the buck. If you're looking for a good deal in Ocala this is the place. Lots of homes here well under $100k, they just need a little TLC. It's a good community for affordable living in a nice location with all your basic amenities. 55places.com is not affiliated with the developer(s) or homeowners association of Oak Run. The information you submit is distributed to a 55places.com Partner Agent, who is a licensed real estate agent. The information regarding Oak Run has not been verified or approved by the developer or homeowners association. Please verify all information prior to purchasing. 55places.com is not responsible for any errors regarding the information displayed on this website.